Garda patrol car on the scene. 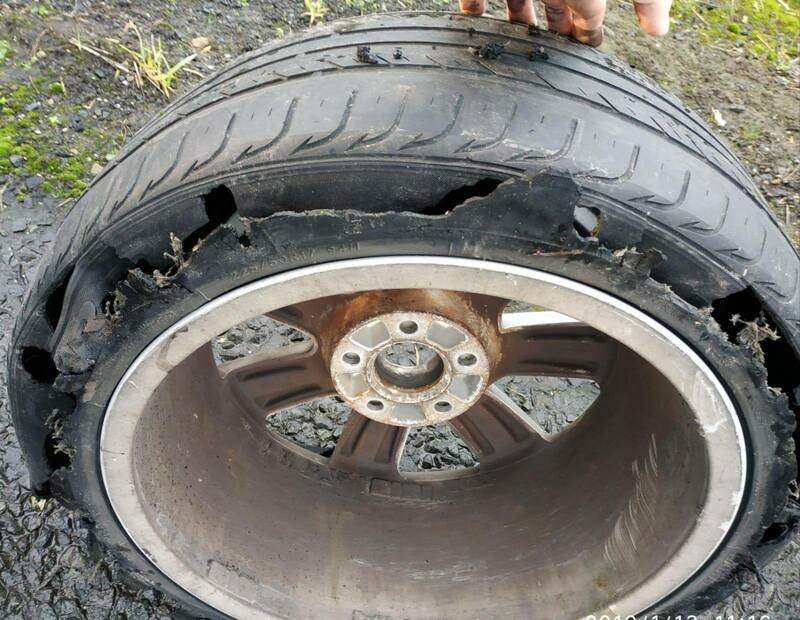 Gardaí provided vital help to a stranded motorist on the busy Dublin Cork Limerick M7 motorway after a tyre on the driver's car suffered a dangerous blow out. Gardaí in the Divisional Roads Policing Unit assisted after being alerted near Portlaoise. They are now warning others to check the condition and pressure of tyres on all vehicles regularly. An Garda Síochána Laois Offaly shared a picture of the tyre which was completely torn and left in shreds.